The house has been externally insulated and rendered bringing its thermal performance up to current building regulations standards along with timber/aluminium composite windows throughout. Complete internal demolition and reconfiguration with two new extensions: a new garage, gym and wine cooler with a bedroom above to the right of the house and a new open plan Kitchen/Diner/Lounge with master bedroom suite above to the left of the house. 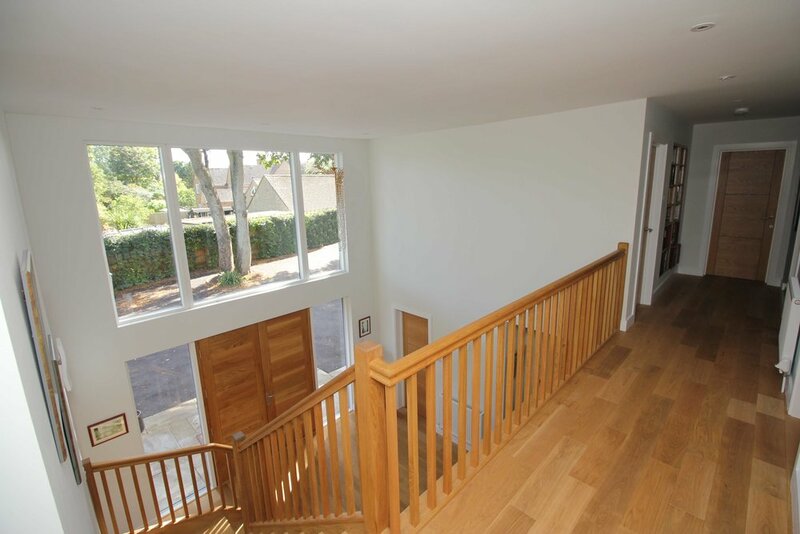 The front of the house was bought forward creating a new double height entrance hall. Interior design & joinery includes bespoke bookcases, wardrobes, Study and bathroom units.